Use of float, leger. quiver-tip, spinning rods, fixed spool reels, centrepins (Wallis casting), multipliers, fly-rods, fly-casting, boat fishing. Night fishing can also be arranged and can be very productive for both carp and barbel. 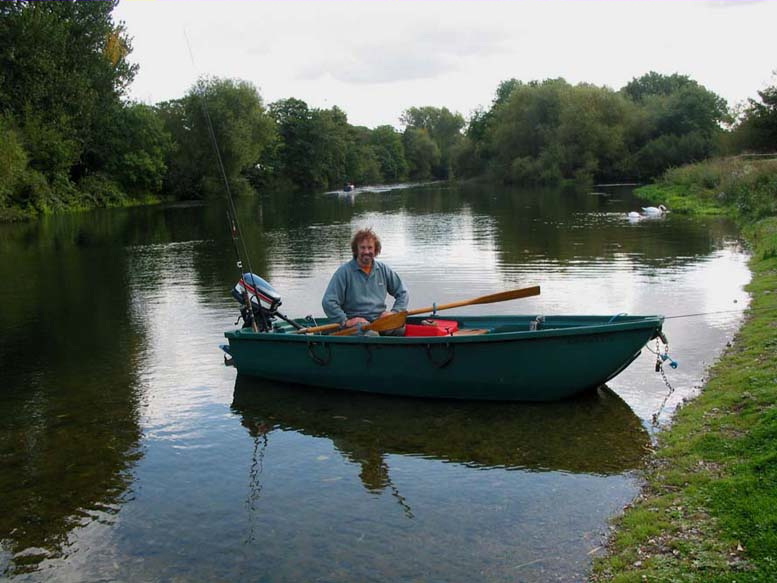 I have my own boat (click on photo), equipped with 4hp outboard and fish-finder. If you fancy a day out on the Thames, then this too can be organised. Fishing lessons on a boat can be great fun!